There are many types of WooCommerce wholesale store. Some wholesale stores sell public WooCommerce products alongside a hidden wholesale area. Others sell the same products to public and wholesale customers, but at different prices. Some stores sell the same wholesale products to all customers. Others sell different categories of products to each wholesale customer. This tutorial will teach you how to create a WooCommerce wholesale store selling different products to specific customers. You’ll learn how to create a hidden wholesale category for each customer that only they can access. Get the ultimate WooCommerce wholesale plugin: WooCommerce Protected Categories. Why would a WooCommerce wholesale store need different categories per customer? Workwear or industrial clothing store. If you sell branded workwear or industrial clothing to specific organisations then you might sell personalised products with the company logo. The products might contain other personalised information such as job role or department. White labelled or company branded goods. Your WooCommerce store might sell products that are branded to your customers. This allows them to resell the products under their own brand. Each customer needs to log into the WooCommerce wholesale area to view and buy their branded products. Company stationery. A design or printing company selling repeat orders of bespoke stationery might add them to a secure area within their WooCommerce wholesale store. Whenever the company needs to re-order their business cards, letterhead or promotional leaflets, they can log into their hidden wholesale category and buy securely. With each of these examples, each wholesale customer must be able to view and buy specific products. The products need to be hidden from public view. This can be achieved by creating hidden WooCommerce categories for each customer. If you sell the same products to all your wholesale users then you don’t need customer-specific categories. You can still use the WooCommerce Protected Categories plugin to create your wholesale store. However, you can protect all your wholesale products by adding them to a single password protected category (with extra sub-categories if required). What is WooCommerce Password Protected Categories? WooCommerce Protected Categories is a WordPress plugin that lets you hide product categories within WooCommerce. By password protecting a category, you can lock it down so that only WooCommerce wholesale users can access it and view the products inside. You can use WooCommerce Password Protected Categories to create single or multi-level category structures. By password protecting the main ‘Parent’ category for each wholesale customer, you can create an entire store-within-a-store for each company. 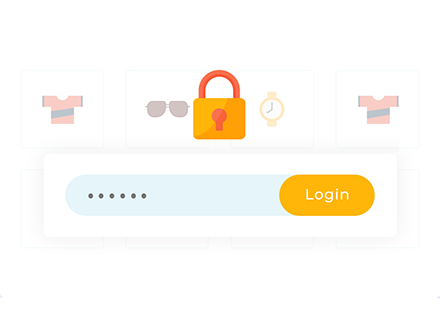 To access their hidden wholesale category, customers simply need to enter the password on the central WooCommerce login page provided by the plugin. Depending on which password they enter, they will automatically be redirected to their wholesale category. They can then browse and buy the products inside. No other customers will ever know that the hidden categories or their products exist. Create hidden categories for each of your customers in your WooCommerce wholesale store today! Get the WooCommerce Protected Categories plugin. Download the plugin files and copy the license key. Log into the WordPress admin. Go to Plugins > Add New and upload the plugin, then activate it. Go to WooCommerce > Settings > Products > Password Protected Categories and enter your license key. Configure the plugin settings as needed. There are various settings which are documented here. For example, you can customise the WooCommerce password login page. You can choose how many days before customers have to re-enter their password. Most importantly, you need to leave the 2 boxes in the ‘Category Visibility’ section unticked. These hide your WooCommerce wholesale categories from the public areas of your store. After saving your settings, go to Products > Categories. 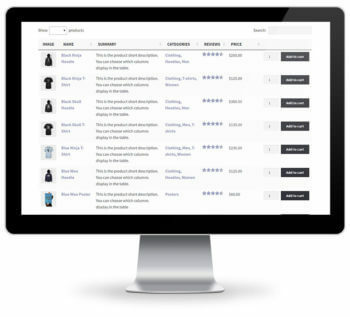 Create a category for each wholesale customer. In the ‘Visibility’ section for each category, select ‘Password protected’ and add 1 or more passwords. 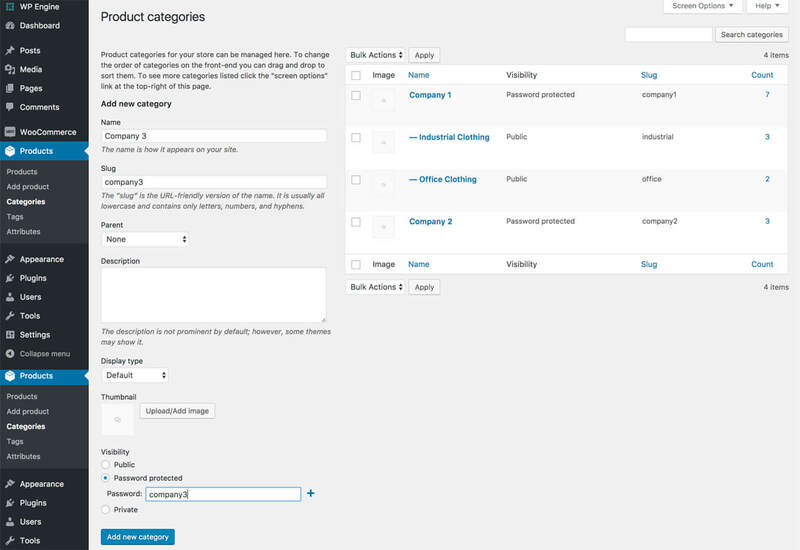 Create any sub-categories by selecting the main category for each customer as the ‘Parent’. Leave these set to ‘Public’. Do not password protect them because they will automatically inherit the password protection from the parent category. That way, wholesale customers can enter a single password to unlock their category and all its products and sub-categories. Finally, give the appropriate password to each of your wholesale users. They will be able to visit your website, access the wholesale login page, enter their password and be taken to their private category. They can then view all the sub-categories and products inside and purchase from you. Mission accomplished! Can logged in wholesale users automatically be taken to the correct category? No. WooCommerce Password Protected Categories works by password protecting categories. It’s separate from WordPress user accounts. Wholesale users must enter the password to unlock their category whether or not they’re logged into their account. This is a good thing because you can give the password to more than one person at each wholesale company. You just need to create a password protected category for each wholesale customer/company. You can then give the password to everyone who needs it. Can I show the wholesale customer’s logo on their page? One WooCommerce wholesale store owner asked us how to show each customer’s logo within their hidden area. This can reassure customers that they are logged into their own wholesale area. For the best result, you need to write some custom code to show a logo on the template depending on which category is being viewed. Your developer would need to do this. If you don’t have one then we recommend Codeable. If you include the customer’s company name in the category title then this will appear at the top of their wholesale ordering page once they have logged in. This will reassure them that they’re in the correct place without needing any custom coding. A less technical way to add logos is to display a sidebar to the page with a different sidebar for each customer. You could the free Display Widgets plugin to show a widget containing the logo on the products/categories relating to that customer. Display Widgets doesn’t let you select specific categories or products, but you can do it by adding the ID of each product and category manually. Scroll to the bottom of the list of pages/categories/etc. added by Display Widgets for each widget. You’ll see a box at the bottom called ‘Comma Separated list of IDs of posts not listed above’. This is where you need to enter the ID for all the categories/products where you want to show the widget. It’s a bit of a pain, but does the job. (Tip: To find the ID of a product or category, go to edit it and look for the number in the URL. This is the ID). Can I create specific WooCommerce wholesale layouts? 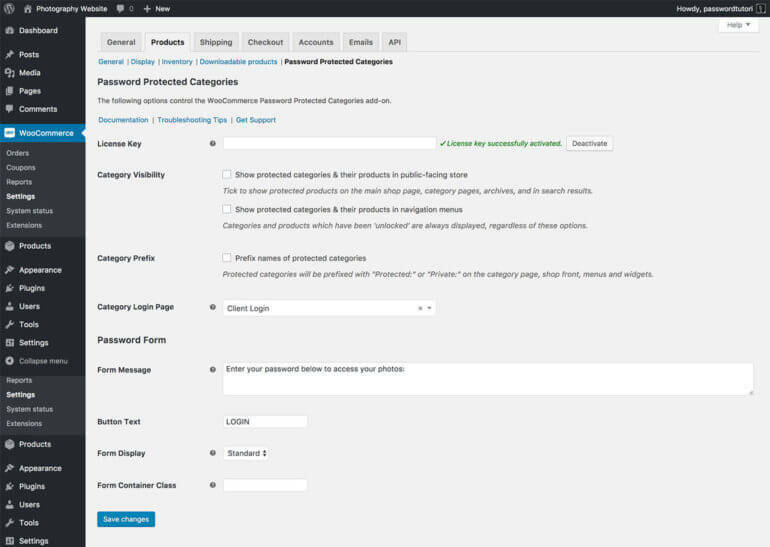 WooCommerce Password Protected Categories protects parts of WooCommerce and creates hidden categories for wholesale customers. It doesn’t alter the page layouts at all. Our other plugin, WooCommerce Product Table, creates a more wholesale-friendly layout for your products. It lists WooCommerce products in a tabular grid layout with various data such as image, title, price, tags and attributes. You can disable the links to the single product page. The table can even include variation dropdowns and add to cart buttons. This is ideal for WooCommerce wholesale stores because wholesale customers already know what they need. They don’t want large images or long descriptions. A space-saving order form layout is more appealing to wholesale customers. You can achieve this with WooCommerce Product Table. 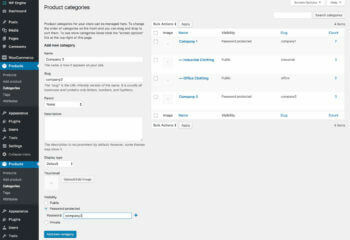 The plugin knowledge base contains instructions on how to add product tables to the category archive template. This uses the product table view for password protected wholesale categories, instead of the usual WooCommerce category layout. Tutorial: How to create a WooCommerce order form. How will you structure your WooCommerce wholesale store? I hope this tutorial has helped you create a WooCommerce wholesale store with password protected categories for each customer. The plugin comes with full support and regular updates. Search the knowledge base or send a support request if you need any help setting it up for wholesale customers. I’d love to hear how you structure your own WooCommerce wholesale store. Are there any important features which I haven’t covered? Please add your comments below. And if you like our WooCommerce wholesale plugins, sign up as an affiliate. You can earn 30% commission for recommending them!